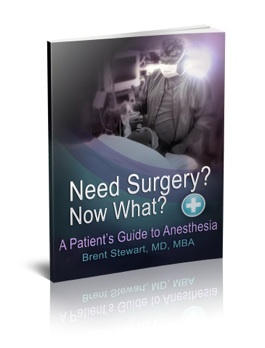 A Patient's Guide to AnesthesiaThis book will help you understand what happens before, during, and after surgery. Oftentimes, you'll have more than one anesthetic option. This concise, easy-to-read book prepares you for a conversation with your anesthesiologist. The day of surgery causes a great deal of apprehension. It’s a day of new experiences, much of which are feared to be unpleasant. Add the lack of control (along with a fair amount of hunger! ), and it’s no surprise that patients can be afraid and unhappy. This book provides information about what you or your loved ones can do to prepare for surgery, how anesthesia works, and how to best communicate with your doctors to understand your options. It contains sections on the various types of anesthesia, as well as what to expect for a number of particular surgical procedures. Knowledge and reassurance provide comfort. Comfort causes relaxation. Relaxation lowers stress. And lowered stress absolutely improves the surgical experience. As an anesthesiologist, I would recommend this book to all of my patients having surgery. It is an excellent resource for patients and families who have questions or concerns about upcoming procedures and the associated anesthetic. Dr. Stewart does a brilliant job of explaining the different types of anesthesia as well as explaining a variety of surgical procedures. The book can easily be understood by people not acquainted with medical terminology. As anesthesiologists, we rarely have an opportunity to meet our patients until moments before their surgery. This book helps understand what we do, which in turn may help allay the fear and anxiety associated with surgery and anesthesia. 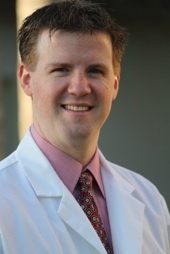 The author, Brent Stewart, M.D., M.B.A., is a Board Certified Anesthesiologist with a sincere interest in helping people to understand and be comfortable with anesthesia and anesthesia techniques. He sees similar concerns and hears similar questions every day. Dr. Stewart wants future patients to have the opportunity to learn about the anesthesia in advance, rather than during the stress immediately before surgery. Having been a patient himself, he knows the fears. He knows the worry. May this book provide you with useful information that will help you collaborate with your anesthesiologist about the day’s anesthetic. Good luck to you.